About Us | Middle Tennessee Real Estate :: Maples Realty & Auction Co.
Dedication and professionalism toward our customers has been our goal at Clark Maples Realty and Auction Co. for over forty years. Real Estate in Middle Tennessee is what we know best. When helping our customers make the best buying or selling decision we use knowledge, experience, and persistence to obtain the goals our customers are striving for. 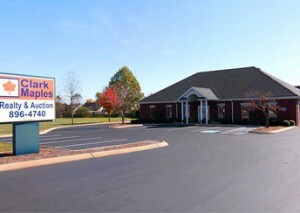 Clark Maples Realty & Auction Co. was founded by Clark Maples who started in the real estate business in 1967. He was born and raised in Rutherford County and was very active in the community. In 2007 the business was passed on to his daughter, Betsy Maples Taylor, who has been a part of the family business since 1986.